Scarves are a very warm and useful accessory during the winter. The fur scarves are by far the warmest. Made mostly of mink fur, fur scarves are the perfect match to avoid the winter cold even when wearing a simple jacket or a raincoat. The scarf can be created in different ways and customized to your liking. The fur scarf is almost always made of mink, and most of the manufacturers, made them by leftovers of jackets and coats. Elpidio Loffredo, instead, uses the same type of leather that is used for the creation of jackets and coats. 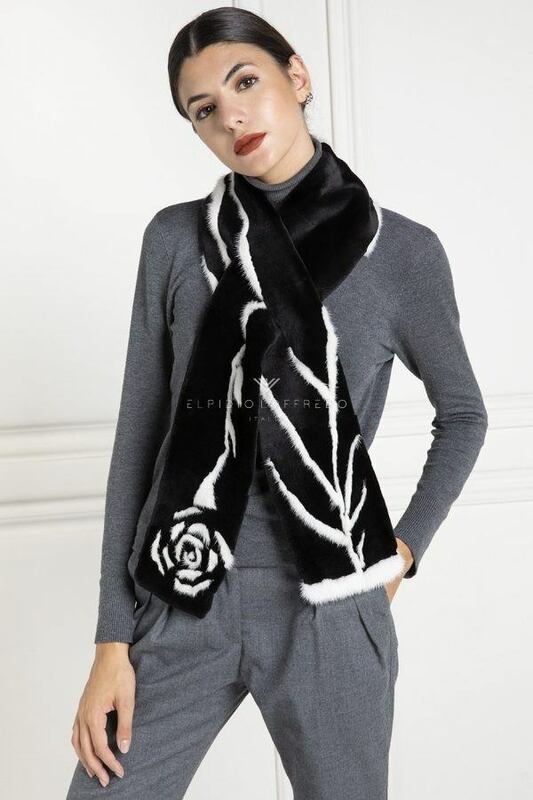 The personalization of scarves happens by adding designs, such as flowers, initials or simply abstract designs. The mix of colors is not always easy, especially when you choose very strong colors. 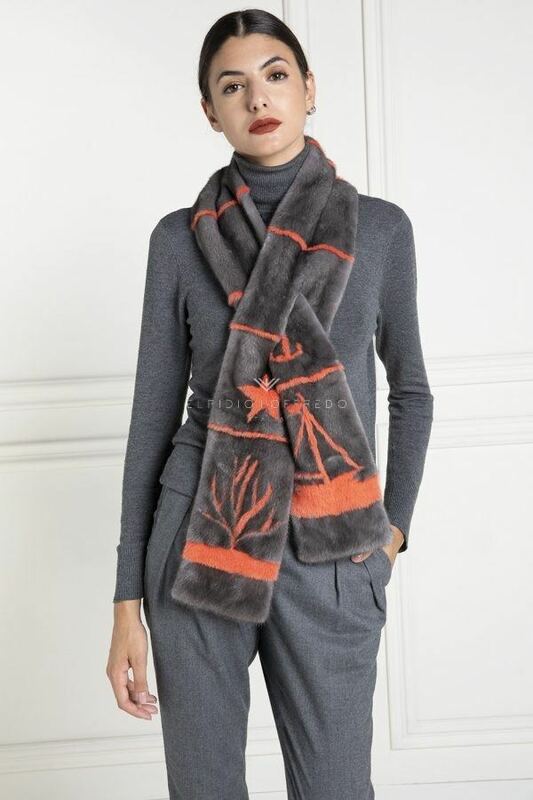 Scarves can also be made with fox, sable and chinchilla fur. Fox scarves are often made using the tails, in order to create particular closures and often particular colors nuances. 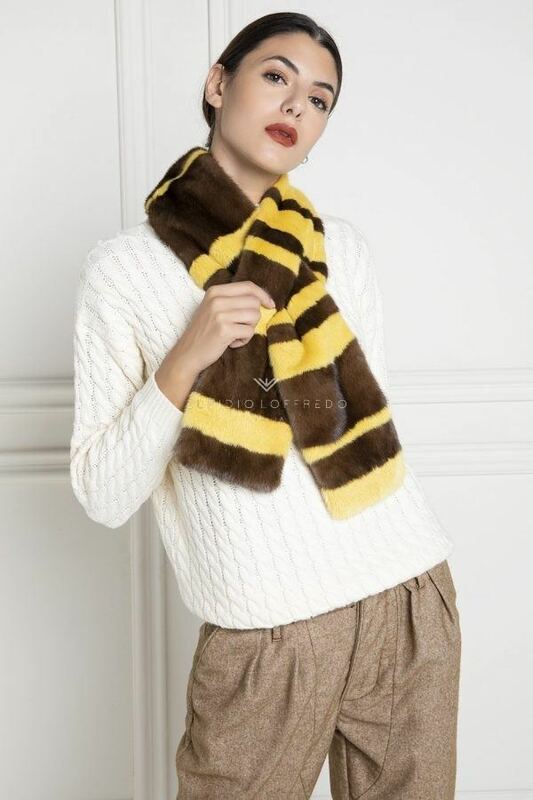 Sable scarves are often made using the dyed materials, and are worked vertically to allow a comfortable closure with buttons. 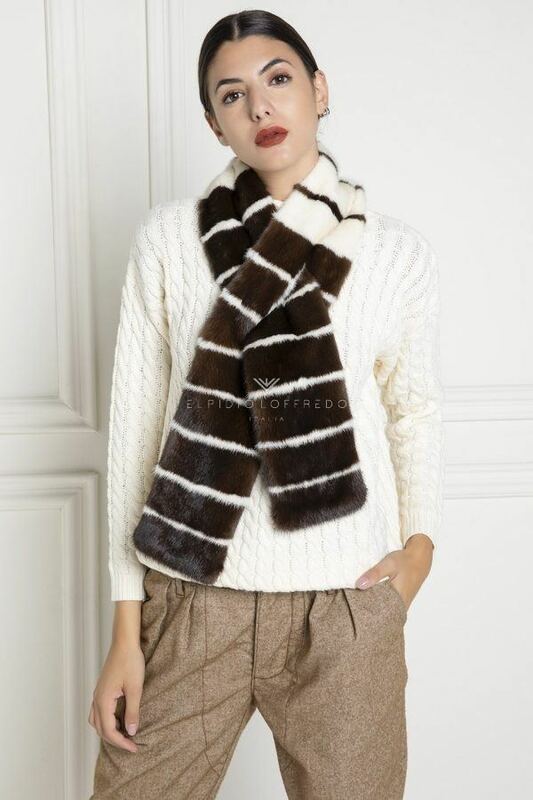 Sable scarves are often created by mixing sable and mink fur. Chinchilla scarves on the other hand are very delicate and are made with very small leathers in order to create a very wide and warm scarf. Often we prefer to use magnets for this type of leather, when the hooks can “stress” the hair. 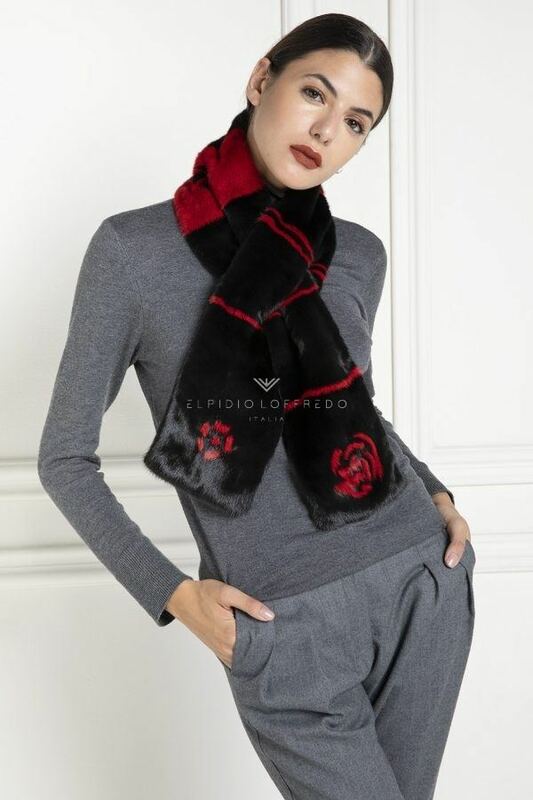 Elpidio Loffredo also produces customized scarves upon request and cashmere scarves are also available.